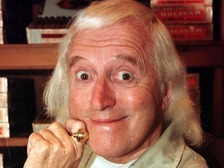 The true scale of the Jimmy Savile scandal has been laid bare today as a report revealed how he was allowed to commit a horrifying catalogue of sexual abuse in hospitals up and down the country over 50 years. At Leeds General Infirmary alone, dozens of people came forward to say he had abused them. His victims were patients, staff, young boys and girls and even pensioners.